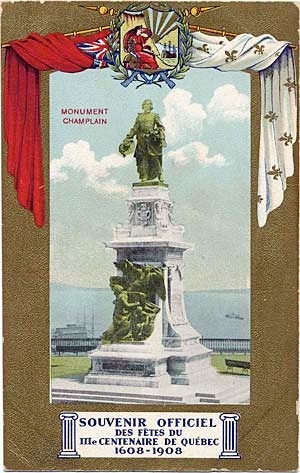 What follows are a series of patriotic postcards from unknown publishers, identified by the numbering system shown in Michael J. Smith’s “The Canadian Patriotic Postcard Checklist 1898–1928”. 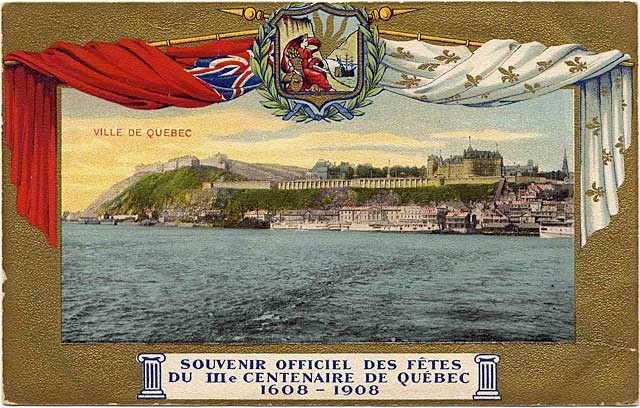 This patriotic postcard series depicts views of Québec City at the time of the tercentenary celebrations in 1908. 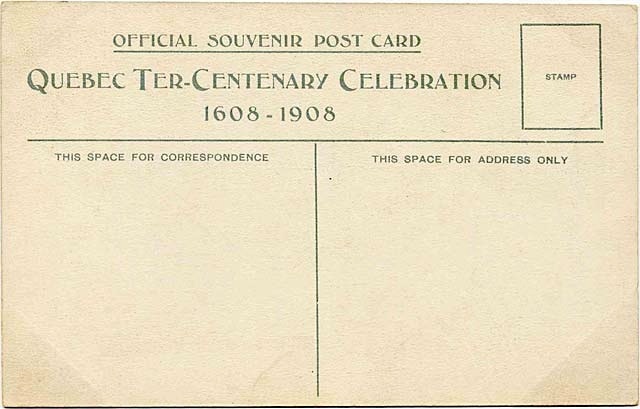 These postcards, postally unused, are by an unknown publisher. 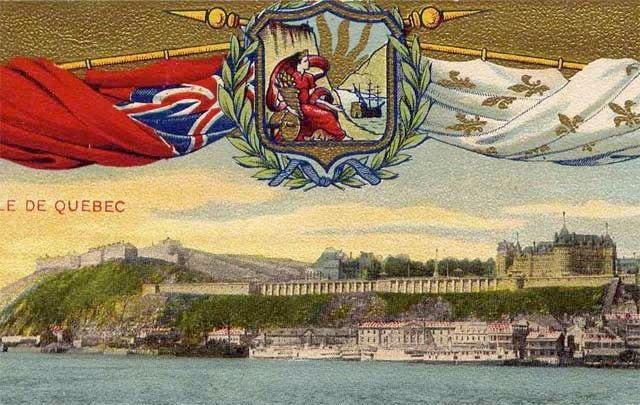 The cards are listed as UKN9-001 to -006 in Smith's The Canadian Patriotic Postcard Checklist 1898 - 1928. 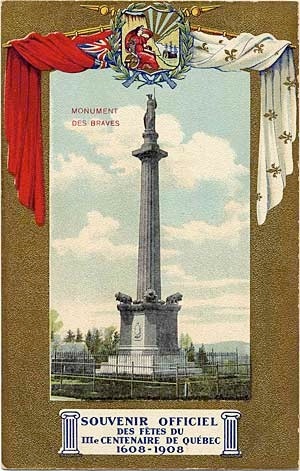 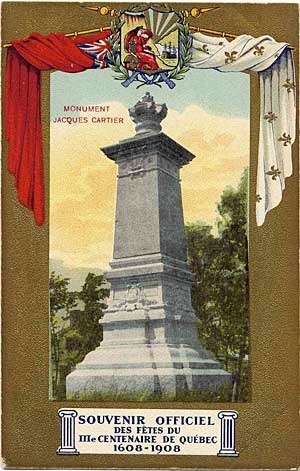 Card UKN9-005, Monument Wolfe, Plaines d'Abraham is missing from the images below. 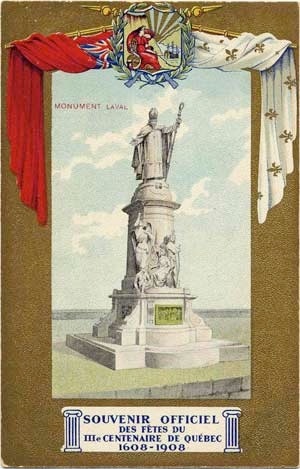 A detail of the crest on the cards is followed by a card back and the images of the other cards.